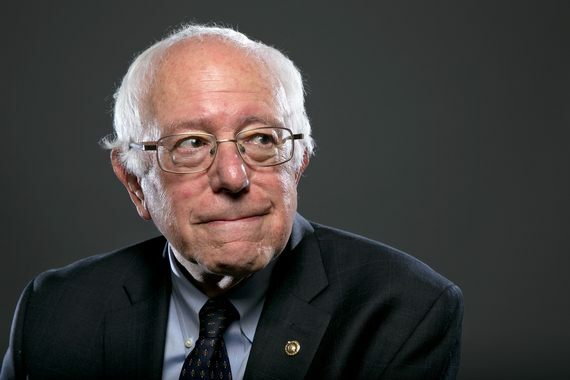 Bernie Sanders is a false prophet who is neither genuinely socialist, nor genuinely independent, according an article recently published in the World Socialist Review. Under the impact of the global economic crisis, the ruling elite has brought forward "left" bourgeois parties to shepherd mass opposition into harmless channels, according to Patrick Martin's article. Most socialists can't wait for him to lose. It's no secret. At the unusually well attended Socialism 2015 convention in Chicago last July, Sanders was called the first SINO --- Socialist in Name Only --- in American politics. Most of the participants saw the Sanders campaign as a trick to lure the disenfranchised middle class back into the establishment fold. What is remarkable about Sanders is how vacuous his radicalism really is, Martin continues. Even in the context of American history, his socialism in domestic policy is far less radical than the Populist Movement, (the anti-Wall Street presidential campaigns of William Jennings Bryan), 100 years ago, and the Farmer-Laborites in 1936. In foreign policy Sanders is indistinguishable from Obama and Hillary Clinton and even attacks them from the right on trade with China, argues Martin. Although he dresses up his international views in "revolutionary colors" -- giving lip service to Fidel Castro and the Sandinistas -- Sanders is most vilified by socialists for his pro-war and pro-imperialist positions. The When Sanders was asked last year about U.S. military intervention abroad, he replied that he was for "drones, all that and more." Sanders, they claim, bears a share of responsibility for over one million dead from imperialist wars in the Middle East over the last 25 years. Sanders is a pseudo-left appendage of the ruling elite and its partner the Democratic Party. He is and has been a valuable asset for the "one percenters" by promoting the left cover illusion that the right-wing capitalist Democratic Party is somehow progressive and cares about the middle class. Bernie Sanders is this election's Democratic sheepdog. The sheepdog is a card the Democratic Party plays when there's no White House Democrat running for re-election. The sheepdog is a presidential candidate running ostensibly to the left of the establishment Democrat to whom the billionaires will award the nomination. Sheepdogs are herders,.... charged with herding activists and voters back into the Democratic fold who might otherwise drift leftward and outside of the Democratic Party, either staying home. By this logic, the sheepdog candidate in 1968 was Eugene McCarthy. In 1984 and 1988, the candidate was Jesse Jackson. In 1992, it was California governor Jerry Brown. In 2000, the designated sheepdog was Al Sharpton, and in 2004, it was Sharpton and Howard Dean. In 2008, it was Dennis Kucinich. This year, it's Bernie Sanders. Despite casting millions of votes for the likes of Eugene McCarthy, Jesse Jackson, Jerry Brown, Al Sharpton and other "sheepdogs," those leftish Democrat voters and their issues are always disregarded and ignored when other Democrats actually win. The sheepdog's job is to divert the enthusiasm of activists early on, and when the sheepdog inevitably folds in the late spring or early summer, before November's election, there's no time left to win ballot access for alternative parties or candidates. Mistrust of main street politics is an ingrained part of socialist beliefs. Even President Obama is fodder for their scorn and derision. A reason there are still tens of millions still uninsured is Obama's' giveaways to the drug companies, the hospitals and the doctors. Obama's militant use of the military, drones and foreign adventures are examples of his continued American imperialism. And Obama's bailout of the banks, responsible for the Great Recession, is viewed as a sign that he is beholden to the One Percenters. In 2008, Obama raised more money from the Wall Street financial sector than any candidate in history. This antipathy toward the Democratic Party goes back to the earliest days of the Socialist Party in America. Woodrow Wilson is seen as a traitor to his left wing base when he brought the U.S. into World War I, torpedoed labor reforms and viciously persecuted Socialist Party leader Eugene V. Debs. One hundred years ago, Wilson's repressive sedition laws forced Debs to run for president from a jail cell. The Republican and Democratic parties, or, to be more exact, the Republican-Democratic party, represent the capitalist class.... They are the political wings of the capitalist system and such differences ... relate to spoils and not to principles. As a candidate for the Democratic presidential nomination, Sanders does a disservice to Debs' memory by displaying a portrait of Deb in his office. But, Sanders is no Eugene Debs, says Green Party candidate Howie Hawkins, who ran for governor of New York State and won 184,419 votes in 2014. Sanders is violating the first principle of socialist politics: class independence, writes Hawkins. A lesson socialists learned long ago when the business classes sold out the workers after the 1848 democratic revolutions that swept across Europe. There are of course plenty of socialist parties: Socialist Equality, Socialist Workers and World Workers, Socialist Party USA, Peace and Freedom, Socialism and Liberation, and the largest, the Green Party. Some, like the Socialist Alternative, praise Sanders for bringing "socialism" to an audience of millions and treats the Sanders phenomenon as teaching moment. But the party fully anticipates that Sanders will drop out and expects to support the Green Party Presidential Candidate, Jill Stein. The Green party is sending volunteers to every Sanders rally in hopes of wooing potential supporters. Vermont is strewn with dissatisfied socialists, denouncing Sanders for perceived sins that go back to the '70s, according to an article in the Washington Post by David Fahrenthold. "When Sanders decided to run as a Democrat," that was the last straw, said Jim Ramey at the meeting of the International Socialist Organization's Burlington branch. "People on the left should not support him." Leon Trotsky, the co-leader of the 1917 Revolution in Russia, explained in his 1920 book Terrorism and Communism, how the ruling classes manipulate the political system in a democracy. Sanders political career took off in 1981, when he abandoned socialist politics, but not the label, and ran as an Independent for mayor of Burlington, Vermont's largest city. Locals said that he hoped to avoid alienating the city's business interests. Sanders was so successful in achieving a measure of establishment support, he even received the endorsement of the Burlington police union, which supported Reagan in the 1980 elections. "He seemed to have some new ideas for some of this city's old problems, like juvenile delinquency," union president Joseph Crepeau explained. After winning the mayoral election, Sanders went out of his way to reassure the city's business community. Sanders undertook ambitious downtown revitalization projects and courted evil capitalist entities known as 'businesses.' He balanced budgets. His administration sued the local cable franchise and won reduced rates for customers. He drew a minor-league baseball team to town, the Vermont Reds (named for the Cincinnatis, not the Commies). Sanders also won praise for his auditing of the city's pension plan for the first time in three decades and initiated a $100 million commercial waterfront redevelopment project, opposed by tenants' organizations in the surrounding poor neighborhood. Under his leadership, Burlington's ailing economy boomed. When forced to choose between Burlington business interests (and the jobs they created), and radical posturing, Sanders came down firmly on the side of jobs and economic growth. One former supporter, in a letter to socialistworker.org, describes how solidarity activists, the Burlington Peace Coalition, picketed the General Electric plant in Burlington that manufactured the Gatling-guns used in military helicopters against peasant guerrillas. "I vividly remember Bernie standing arms-folded alongside the right-wing union officials from the factory and the Burlington Police Department as we were being arrested," the former supporter said. "He falsely insinuated that we were 'anti-worker,' and he refused to have any serious political dialogue with us activists." To Sanders, socialism is nothing more than the pursuit of fairness in a country rigged by the rich, writes David Weigel and David Fehrenthold in the Washington Post. "He's not a democratic socialist," said William Galston, an expert on domestic politics at the center right Brookings Institution. "He's a social democrat. Seriously." So far, Sanders has gotten a free ride from the Republican attack machine. They figure he is a loser. But they may come to regret what they wish for. In matchups with the Republican candidates, Sanders beats Trump and Cruz. He ties Rubio according to Real Clear Politics. Wonder what the socialist's position will be in the unlikely possibility that Sanders wins?